CES gearheads got giddy with today’s unveiling of MyFord Touch, the newest rendition of the Ford Sync, Ford’s dashboard-integrated, voice-controlled car connectivity system. This version streamlines and consolidates vehicle control commands into some lovely touchscreen interfaces and it also introduces a feature that will allow the car to communicate with the Internet-based applications on your mobile device. 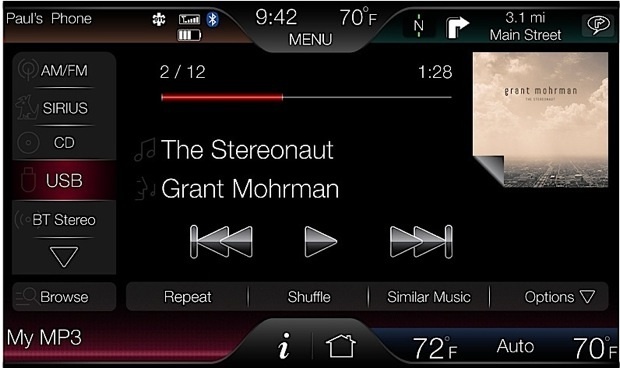 But where Ford really brought the party on this model is with a nifty new feature that allows MyFord Touch to communicate with the applications on your mobile device. After hinting they’d be opening up their Sync platform for third-party developers in October, it seems that voice-updating Twitter while driving will finally be a reality. But that’s not quite ready yet, nor is another feature that could radically change road trips: Plugging in a USB modem into oneof the systems two ports will create a Wi-Fi hotspot inside thevehicle, so everyone else in the car with computers and mobile devicescan share the wealth. When the car is parked, the eight-inch screen turns into a Web browser. Only when parked. Remember, no driving and surfing. 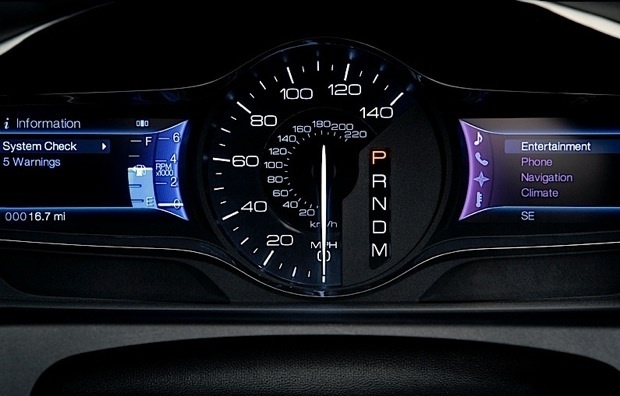 But recent studies have shown that well-designed interfaces can help drivers. 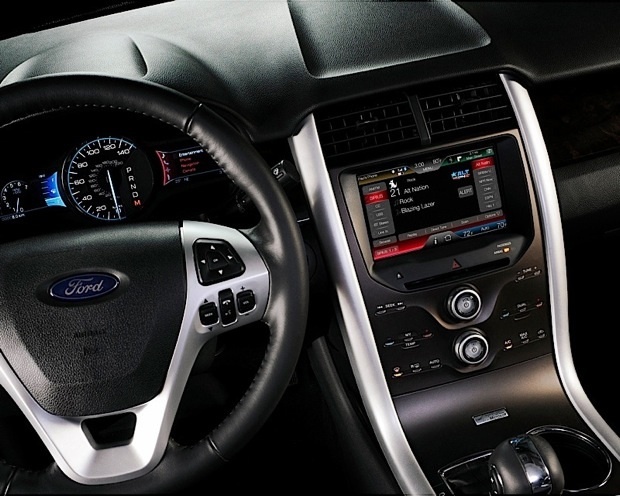 Ford Fusion’s SmartGauge snagged headines last year after the Smart Design and Ideo collaboration was actually proven to be so effective that it helped drivers optimize hybrid performance. For the MyFord Touch Ford tapped Bsquare, who developed the revolutionary Coke vending machine we covered here in July. Using Microsoft’sWindows Embedded Auto platform, Bsquare created a dynamic graphicinterface that was clear enough to safely be glanced at while driving, but complex enough to accommodate a range of applications like on-board mapping systems and video players. It does look pretty nifty and it includes some features we never knew we needed: Engadget’s got a hands-on demo that includes–yippee!–the ability to change the car’s ambient lighting! 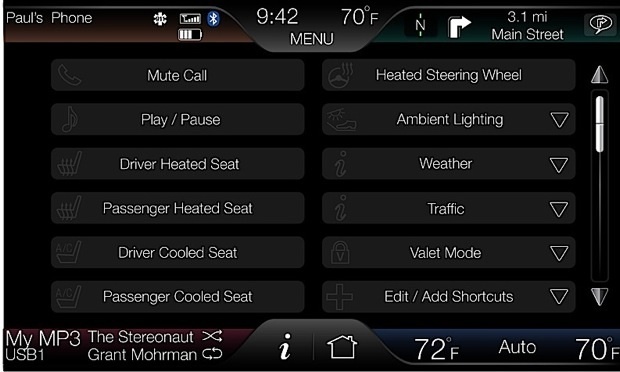 The MyFord Touch will be available on the 2011 Ford Edge and 2012 Ford Focus.Lincoln will introduce it as standard equipment on new Lincolns beginningwith 2011 Lincoln MKX.